Last year's Masters Tournament saw Jordan Spieth suffer one of the most spectacular collapses in the history of golf, surrendering a five-shot lead in the final nine holes of the tournament to allow Englishman Danny Willett to ride a bogey-free final round to his first career Major victory. As the 2017 edition of The Masters tees off this week at Augusta, intrigue abounds. Can Willett repeat his last year's performance? How will Spieth respond to being back at Augusta? Will Dustin Johnson’s torrid form continue despite his fall and carry him to his first green jacket? This guide seeks to help savvy punters navigate these questions and more heading in to golf’s "Tradition unlike any other". Last year Dustin Johnson shed the label of “Best Player without a Major” when he won the U.S. Open, a key component in his being named PGA Player of the Year and PGA Tour Player of the Year for 2016. Coming in to the Masters, Johnson’s momentum has reached a fever pitch as he has six finished in the top 10 in the seven tournaments he has played since December, including first place finishes in his last three competitions. All of that success has propelled Johnson to a world number one ranking and made him one of the major favorites to capture the green jacket. Indeed, Paddy Power had him listed as THE favorite with odds of 6/1, narrowly edging out Spieth and Rory McIlroy. Of course, that was before Johnson suffered a fall down the stairs at his rental home, injuring his back and putting his tournament in jeopardy. He has stated that he intends to play, but his odds have dropped considerably, now sitting at 15/2. If he were to find a way to overcome the injury and triumph, Johnson would win his second career major and put his current run in rarefied air as he would join Tiger Woods as just the second golfer since 1952 to win four or more consecutive tournaments. Given his fourth place finish at Augusta last year, just a slight improvement on that performance may be all he needs to cement his last year of golf as a historically great one. Can Willett Defend his Title? Danny Willett played calm and confident golf last year to come back from five strokes down at the start of the back nine and capitalize on Spieth’s disastrous performance on holes 10 through 12, including the infamous quadruple-bogey on that 12th hole. The victory at the Masters is the only PGA victory for the Sheffield native, and propelled him to a world number nine ranking. He has struggled in the year since, and enters this weekend having fallen to 17. While his recent form does not engender much confidence from the public, the Englishman seems to be in fine spirits as he seeks to repeat as Masters champion. Perhaps the traditional Sunday Roast (complete with cottage pies and Yorkshire pudding) he chose for his champion’s dinner can propel him to another surprise victory. Willet has 125/1 odds according to bet365, similar to the chances he was given last year when his mum won £1150 after wagering a scant £10 on her son to win it all. While his odds are long, we know he can handle the pressure and it may just be worth taking a small flier on Willett having some magic left in him. Yes, Jordan Spieth’s meltdown in Amen Corner last year was as spectacular as it was tragic, but it is worth noting that the young American was able to mount a minor comeback following the quadruple bogey at 12 and still finished in a tie for second, a feat most ruled out following his pathetic performance on 12. That speaks to how well he played in the three previous rounds, which makes sense given Spieth’s utter dominance at Augusta National. Having played the course three times, Spieth has finished second, first, and second, with that 2015 victory tying Tiger Woods for the lowest score in tournament history. That level of course mastery makes playing against him a terrifying proposition, and the fact that he appears to have a handle on the mental demons that plagued him last year - almost sunk his first shot at the 12th hole during a practice round this week - should keep a fair share of his competitors up at night. Ladbrokes have him listed at a punter-friendly 9/1 to win. Somehow lost in the shuffle of Johnson’s incredible run and Spieth’s Augusta dominance is Rory McIlroy’s quest for the career Grand Slam. The Northern Irish phenom enters the tournament as one of the favorites, with Unibet slotting him in at 8/1, one of only three golfers given odds smaller than 18/1 according to the bookmaker. For gamblers looking for value off the beaten path, specials bets are worth a look. For instance, Coral allows customers to wager on which continent the winner will be from, with punters being able to choose from North America at 4/5, Europe at 7/4, and Any Other at 7/2. While the two favorites are Americans, the defending champion and the third of the top are Europeans, making those odds rather tempting. Further special bets such as whether any player will register a hole in one or whether there will be a playoff to determine the winner can be found with various odds all across the internet, and provide bettors with a bevy of additional ways to wager on the Masters. 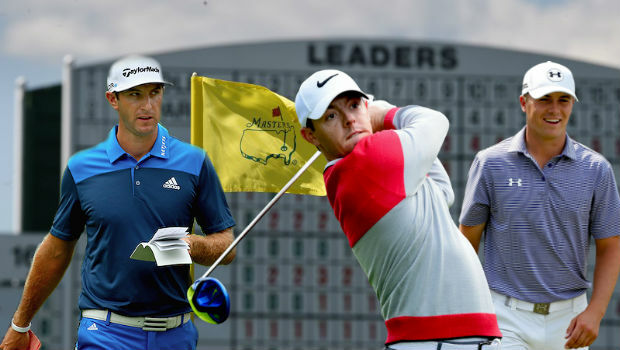 Whether you believe in the favorites or want to take a chance on a lesser known player, get your Masters wagers in by visiting Paddy Power today!